For two years, I taught in four (yes, four) different classrooms. The school was overcapacity. As a new teacher at the school (and lowest on the totem pole) I had to move from room to room. After 12 years of always teaching in my own classroom, I had to make some major adjustments. I was given a cart to take from room to room. I somehow had to reproduce my classroom on the cart. Moving from room to room could be frustrating, but I quickly got used to it. Similar situations happen for kids at home. While it would be ideal to have a study space for each child, that often just isn’t possible. In smaller homes or ones with lots of people, your child may need to move from space to space to work on homework and study. 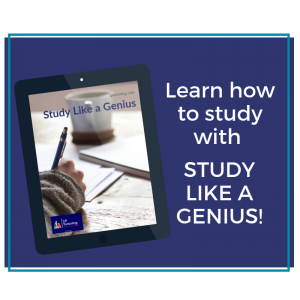 Find out more about creating a study space here! One of the frustrations that kids face is finding supplies. Scissors are in the office, pens are in the kitchen, and the calculator is in her bedroom. This can cause kids to lose precious study time just hunting for supplies around the house. The answer is a homework caddy. This versatile bin contains all the basic supplies and can easily travel from room to room. And you don’t have to spend a ton of money to make one! Looking to save some time when buying school supplies? Check out my tips and download a shopping list for your teen! Have your child think about the supplies she needs to complete homework and/ or study. Focus on the supplies she uses the most often. Do you need 2 calculators? Probably not. More pencils? Yes! 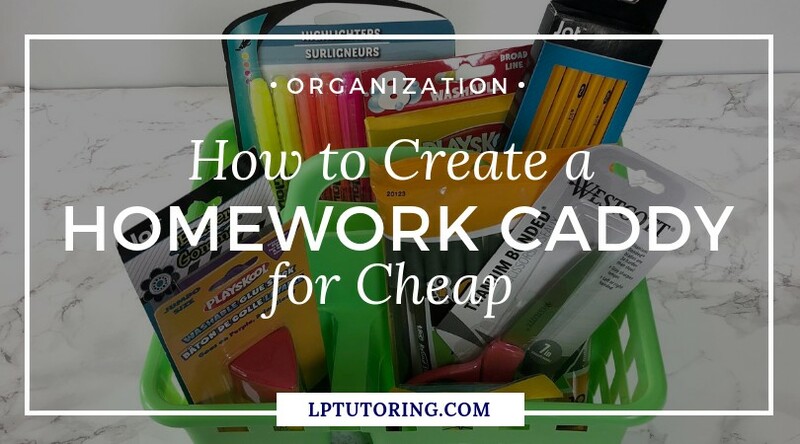 Just a word about the homework caddy itself. I recommend one made from heavy plastic or metal. Look for one with a handle and separate sections, which will help keep it organized. Smaller caddies are better than big ones. Smaller caddies are easier to carry around and to keep organized. 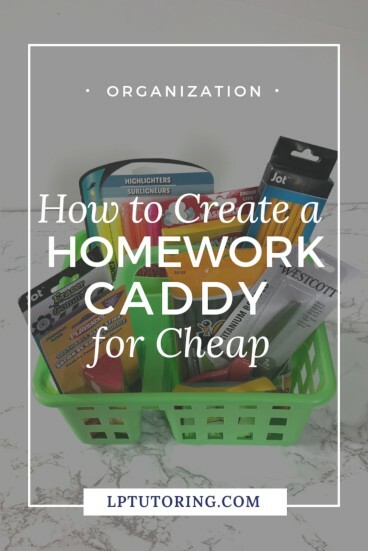 I created this homework caddy for less than $10 and you can, too! Most of these supplies are pretty basic and you can buy them almost anywhere. I hit up the Dollar Tree and bought all of these during the Back-to-School season. I love saving money by shopping at a dollar store. 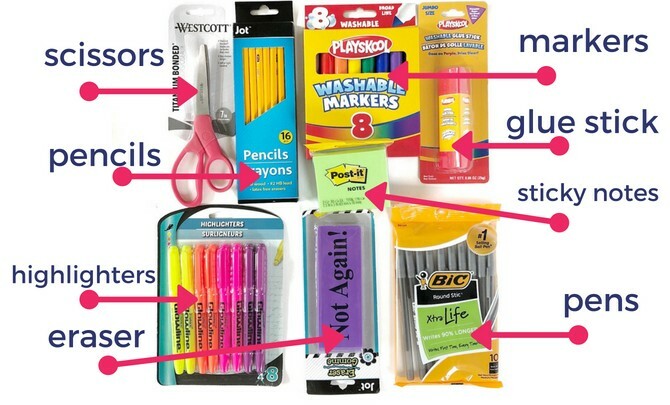 For more tips to save money when buying school supplies, check out my post! You probably have a lot of these items in the house already. There is no need to buy new! This is also a great use for leftover supplies from last school year, especially if your kid only wants shiny new supplies for Back-to-School. I honestly could have stocked the homework caddy just from the stuff in my house. School supplies are cheapest in July and August. When you go shopping, pick up an extra box of pencils, another pack of paper, and an extra glue stick at that point. Just store the extras in a central closet or bin until they are needed. Even the most organized homework caddy will start to look ragged over time. Schedule a time every few weeks to go through the caddy with your child, throw out used or broken supplies, and restock. This 5-minute clean out will keep the caddy ready for your child and will save time down the line. With some bins and supply shopping, I was able to successfully teach in multiple classrooms. Hopefully, this caddy will help your child study effectively no matter where in the house he works! Make your caddy and post a picture on Instagram with the hashtag #lptutoring! Hi! I'm Louisa - a tutor, teacher, mother, wife, baker, knitter, and Harry Potter fan. 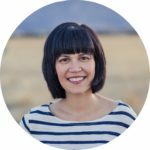 I tutor online and blog about teens, learning, and public education. And sometimes baking. LP Tutoring is a participant in the Amazon Services LLC Associates Program, an affiliate advertising program designed to provide a means for sites to earn advertising fees by advertising and linking to Amazon.com. Sign up for access to my FREE and growing resource library.